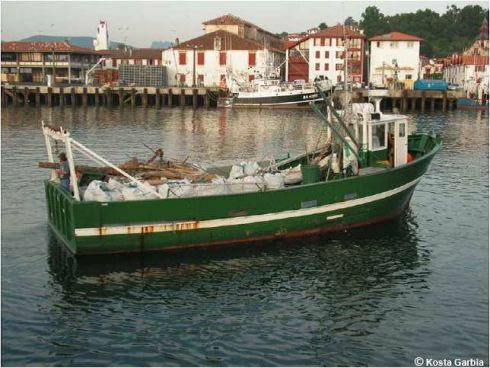 Following the collapse of a portion of the landfill of Corunna (Spain), Kosta Garbia, a union of eight municipalities on the Basque Coast, begun to collect floating waste at sea using a specially equipped boat. The operation takes place from mid-May to 31 August every year. The boat leaves daily for this period if weather permits (105 days theory).